The Bureau of Infrastructure, Transport and Regional Economics’ (BITRE) Domestic Air Fare Index for August shows that discount fares have dropped compared to the same time last year, while business fares have risen slightly. 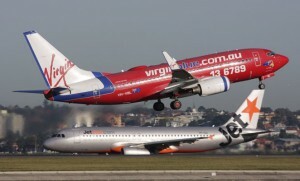 The index for best discount airfares came in at 57.2 for the month, compared to 61.0 in August 2009. The index of restricted economy fares was only 1.1 points lower at 92.7 while full economy fares increased by 2.7 points to 92.7. The business fare index increased by 2.5 points to 96.7. The fall in discount airfares appears to substantiate claims earlier this year from Virgin Blue that the domestic leisure market has been soft. That forced the carrier to sharply revise its profit expectation for the full year down to $20-$40 million from a previously expected $80 million profit.